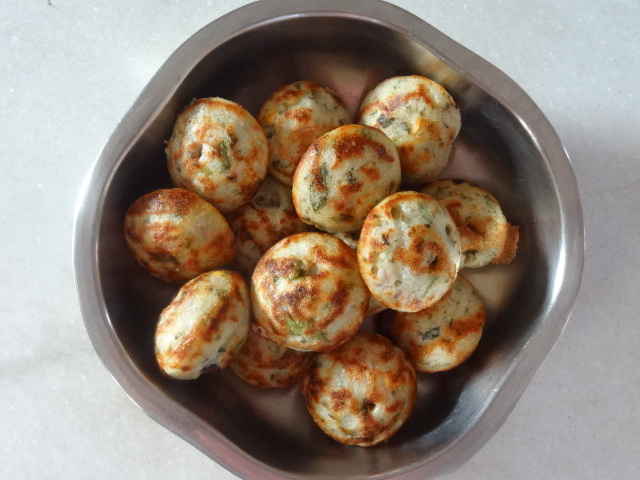 Ponganalu is a famous dish in most parts of Andhra Pradesh. It’s made from dosa batter. You can also mix rava idli batter to the dosa batter. It gives you crispy ponganalu. You can try adding different combinations of veggies as per your requirements. Add salt and cooking soda to dosa batter mix well. Now add chopped onions, green chillies, grated carrot, coriander leaves as per your requirement and mix well. Now heat 2-3 tsp of oil in pan for seasoning, add jeera, mustard seeds, urad dal, chopped curry leaves and soaked Bengal gram dal (soaked for ½ an hr in water)and allow them to splutter. Add the seasoning to above dosa batter. Mix well. Heat paniyarakal/paniyaram tava and dab little oil in the tava. Pour batter in the tava with a ladle and cook for some time on medium flame. Then slowly turn ponganalu and cook on the other side till golden brown. Serve hot with Peanut or Coconut Chutney. 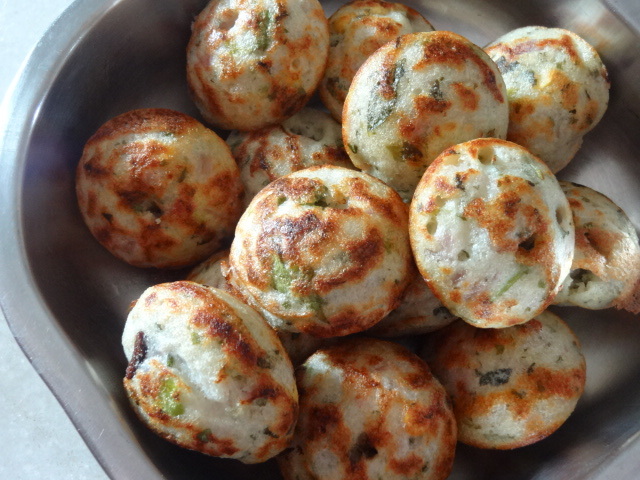 Take it as breakfast or enjoy for snacks.